The TaylorMade M1 driver is designed with multi-materials that allow golfers to personalize performance to fit their swing. 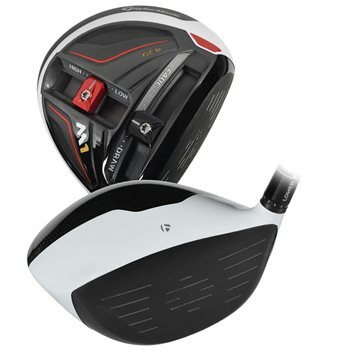 As TaylorMade’s longest driver to date, the M1 feature an extremely low CG that allows for an efficient power transfer for increased ball speed. The T-Track System allows you to move the front track 15 gram weight to provide a draw, neutral or fade setting and the back track 10 gram weight allows you to adjust for high, medium or low launch and spin settings. The loft sleeve allows golfers to further adjust the driver with 12 different positions for your preference of face angle, loft and lie. The M1 comes with 3 different stock shaft options depending on your preferred launch of high, medium or low. Review by TC, 1 year ago.